Mexican law is very strict regarding the possession of Mexican lands by a foreigner. This is a result of the sudden colonization of Texas by the Anglo Saxons who came to settle in mass in that State and overnight demanded the annexation of this State to the American union without further explanation. Suddenly, Mexican law allows all foreigners to own real property such as land or houses less than 30 km from the borders and coasts. Here are some tips to prepare well your living in Mexico. How to Buy and Finance Correctly in Mexico? Indeed, there is a way to divert the historical and legal situation that Mexico could no longer offer its millions of beautiful and comfortable houses, luxury bungalows to tourists if they could not legally be owners. Buying in Mexico is not impossible despite this. The escrow was established. What it is is a notarized contract in which it is possible to integrate topics concerning the rights that you have and the conditions to manage your wealth. 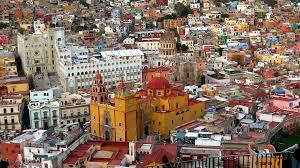 This allows contractors and the Mexican Binational coverage to protect its heritage as the foreign buyer pays 5,000 pesos to set up the project and then pays rent from 1000 to 1500 pesos per year for the duration of the application of notarial contract. It is important to understand that it is not possible to make a credit to Mexico, only cash unless you want to make the loan in dollars or euros but there is a low exchange rate. Nevertheless, everything depends on your situation and your anticipation of the exchange rates. Investment in credits are not highly practiced in Mexico-there are only 10% of Mexicans who choose to invest in the credits. The value of the peso compared to the dollar and euro is very weak, so purchases seem more expensive to foreign residents and it is also one of the reasons why foreigners want to invest in the country while it isn’t so difficult to opt for this choice especially performance wise. The annual rent is strongly discouraged in Mexico, as the law of the rent is very favorable for bad and dishonest people. You could struggle to win against a resident with a lawyer. On the flip side, if you choose to rent, it would be interesting because most people who choose this option are foreigners here for a short time. Nevertheless, the problem that blocks tourists and investors coming to Mexico is also the insecurity that the press makes a big deal out of, above all else. Insecurity that reigns especially in places where tourists will not risk placing their feet-let alone investors.